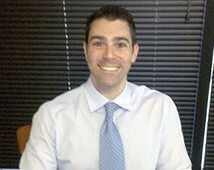 Dr. Mendelson is a graduate of Emory University and attended medical school at St. George’s University. His neurology residency was at Thomas Jefferson University in Philadelphia, where he was awarded the 2006-7 Neurology Residents’ Appreciation Award by the teaching faculty. He later went on to complete a fellowship in clinical neurophysiology at Emory University with a special concentration on the medical and surgical management of epilepsy. Dr. Mendelson is board certified in neurology and clinical neurophysiology by the American Board of Psychiatry and Neurology. He is director of the stroke service at Monmouth Medical Center and regional director of neurology at RWJBarnabas Health. In addition, Dr. Mendelson serves as medical director of the Epilepsy Monitoring Unit. He currently holds a position at Rutgers-Robert Wood Johnson School of Medicine as a Clinical Assistant Professor in Neurology. He has special interests in the treatment of epilepsy during pregnancy and children with febrile seizures, and has authored book chapters on these subjects. He had extensive training at the Thomas Jefferson University Comprehensive Headache Center in the treatment of migraine and chronic daily headache.